PrivatBank, Ukraine’s largest lender partly owned by controversial oligarch Ihor Kolomoisky, is under criminal investigation by the authorities for fraudulently diverting around what was then about $1.8bn, the bank has confirmed. “We are aware of the existence of criminal proceedings. PrivatBank fully cooperates with the investigators and provides all the information and documents necessary to establish the objective truth of the case,” a bank spokesperson told bne IntelliNews on August 20. In a statement cited by Interfax Ukraine, the bank put the amount in question at UAH19bn (today worth about $855mn). Kyiv’s Pechersk court ordered PrivatBank on June 10 to provide police investigators with access to confidential documents relating to the allegations of fraud, which were first reported internationally by bne IntelliNews. 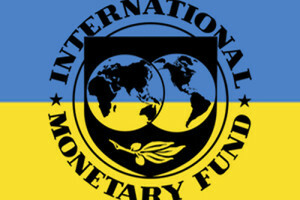 Financial sector regulators the National Bank of Ukraine (NBU) and the State Financial Monitoring Service both said police investigators were acting independently, without their assistance, according to Interfax Ukraine. PrivatBank, part of Kolomoisky’s empire which encompasses aviation, television and energy, received the funds as stabilisation loans from the NBU as the February 2014 revolution and ensuing conflict with Russia unleashed economic turmoil in Ukraine. The funds were in turn paid to PrivatBank by the central bank as part of an IMF bailout of Ukraine in May 2014. “We are convinced that the investigation by examining the documents to which access was granted by the court will be able to objectively assess all the circumstances together, and to establish the truth,” PrivatBank said in its statement. As bne IntelliNews reported, the paper trail suggesting PrivatBank moved $1.8bn out of the country was hiding in plain sight in Ukraine’s online database of litigation. But regulators and law enforcement agencies ignored the signs until the international press picked up the story in the wake of bne IntelliNews’ story. Indications of suspicious activity were the scores of apparently pro-forma lawsuits brought against offshore vehicles for failure to deliver imports as contracted that hit courts in the Dnipropetrovsk region, starting in September 2014. At the time of the alleged fraud, Kolomoisky was also governor of Dnipropetrovsk, where PrivatBank is headquartered. The lawsuits were brought by Dnipropetrovsk-registered companies against the offshore companies for failing to deliver on massive import contracts paid in advance, and which in turn were funded by PrivatBank loans. This is a common scheme for illegal capital exports, and effectively means that PrivatBank funds had been siphoned out of the country. Ukrainian law stipulates that where advance payment is made on an import contract without any subsequent delivery, the “deceived” Ukrainian company has to sue the foreign counterparty in Ukrainian courts for the sum of the advance payment within six months. Processing these cases, journalist investigations identified six firms from the UK and British Virgin Islands as having received the “advance payments” in May-August 2014 totalling $1.81bn, with no subsequent delivery of goods. 42 firms registered in Dnipropetrovsk made the payments from their accounts at PrivatBank, funded by loans from PrivatBank collateralised with the goods ordered. All the Dnipropetrovsk firms are owned via offshores, but journalist investigations linked them via cross-ownership or trading operations to structures belonging to the so-called “Privat Group” of companies. The six non-resident recipients of the funds also have links to Privat Group trading operations, according to the investigations. Tellingly, their accounts are held with PrivatBank’s subsidiary in Cyprus owned by the six UK and BVI firms. Three separate journalist investigations (here, here and here) came to the same conclusions, drawing largely on open sources and thus easily verified. PrivatBank denied the allegations to bne IntelliNews. “We have already stated a number of times that the information about moving capital abroad does not correspond to reality and is based on fabricated data,” PrivatBank told bne IntelliNews. Asked about the alleged scheme in a previous interview, the head of the central bank, Valeria Gontareva, said that she “did not notice” any such scheme. The criminal investigation adds to concerns over PrivatBank’s stability, given ongoing depositor flight from the lender. PrivatBank’s business model combines that of a national savings bank, dominating retail deposits and retail credits, with that of a ‘pocket bank’ serving a single financial industrial group – the so-called Privat Group of companies controlled by bank shareholders Ihor Kolomoisky and Hennady Boholyubov. Thus, while PrivatBank holds 26% of Ukraine’s retail deposits, with over one fifth of Ukraine’s total bank branches, as much as 95% of the bank’s corporate lending reportedly goes to companies registered in its home region of Dnipropetrovsk, presumed to belong to Privat Group, according to Ukraine’s respected weekly zn.ua. PrivatBank dismisses the conclusions of the report. Privat Group, in striking contrast to other oligarch holdings, has never been consolidated into a legal entity, which would put a limit on bank lending to the group because of banking regulations over lending to a single customer. Without such consolidation, it is impossible to fully know how much the bank has been lending to related parties, although the bank does list 26 firms as related parties. Even without group consolidation, the bank’s disclosures reveal that fractionally over 20% of lending goes to one customer. NBU limits lending to one customer to 20%. The bank is well within all other regulatory limits. PrivatBank accounts show that around 25% of lending goes to Ukraine’s oil refining sector, where Privat Group dominates, with just under 15% going to the iron alloy sector, also dominated by Privat Group. A cornerstone of Kolomoisky’s operations for over a decade has been effective control over state-owned oil producer Ukrnafta, with opponents accusing him of siphoning off funds from the company by selling oil and oil products at far below market prices to other Privat Group structures – an accusation that Kolomoisky has always denied. But in March 2014 Kolomoisky clashed with President Petro Poroshenko over Privat Group control of the state-owned companies, leading to his dismissal as governor of Dnipropetrovsk and decisive moves to reduce Privat Group’s role in the state energy sector, including the switching of Ukrnafta deposits from PrivatBank to state-owned banks. PrivatBank has suffered severe deposit outflow since 2014, and continued to receive stabilisation funds from the NBU to prop the bank up, totalling just over UAH10bn ($0.46bn) since December 2014, as detailed by the NBU. The central bank said that the bank’s shareholders had provided personal guarantees for the latest stabilisation loans. But the most immediate challenge faced by the bank is to restructure a $200mn Eurobond due for payment on September 23. An August 13 meeting with bondholders failed to reach quorum, and has been rescheduled for August 27.